Short Wave diathermy current is a high frequency alternating current. 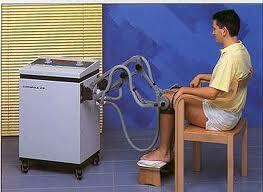 The heat energy obtained from the wave is used for giving relief to the patient. Its frequency is 27,120,000 cycles per second and the wavelength is 11 metre. Have it before, useful for relaxation.